How Do Household Pressure Pumps Work? If you are reading this blog, the odds are good that you are at least slightly interested in having a household pressure pump added to your own home. While pumps are ostensibly simple devices, as they are just machines that help to increase flow rate, there is still plenty that most people do not understand about them. Today, we are going to take a deeper dive into the inner workings of the household pressure pump. We're going to explain how household pressure pumps work and why you should consider installing one in your home. What is a Household Pressure Pump? Alright, we're going to dive right into our discussion without wasting any sorts of time. Household pressure pumps are simply pressure boosters that help to boost the pressure of your water as it comes out of the various appliances, faucets, and taps in and around your home. Water pressure pumps are installed into homes for a wide variety of different reasons and that means that there are going to be plenty of different pump options for potential customers. 1) How do pressure pumps work? While we know that pressure pumps operate in order to increase the water pressure throughout your home, how they work is slightly more complicated. Pressure pumps are either operated manually, by your hand, or their output is entirely automated, depending on the installation and the needs of the specific homeowner. An automated pressure pump's booster system will work by constantly monitoring water usage and kicking on whenever there is a high demand. A manual pump is triggered by the user themselves. 2) What is a household pressure pump used for? Typically, these pressure pumps are used to help increase water pressure throughout the home -- as the name implies. Having low water pressure can be a particularly aggravating experience as it can become problematic in a variety of different ways. Have you ever tried showering with low water pressure? Have you ever tried washing the dishes with low water pressure? 3) Are household pressure pumps solely found inside of the house? No. Household pressure pumps can be used to service your backyard, your gardening pond, your swimming pool and more! When high water pressure is needed, these pumps can help you out! 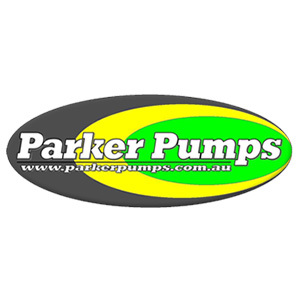 Parker Pumps has been in business since 1960 when we first opened our doors. We provide our customers with a wide range of pumps from different manufacturers of every name, brand and pricing allocation. We provide the pumps that you need for your home or business and our talented technicians are always available to help you out. Give us a call today for help on finding the right pump for you.